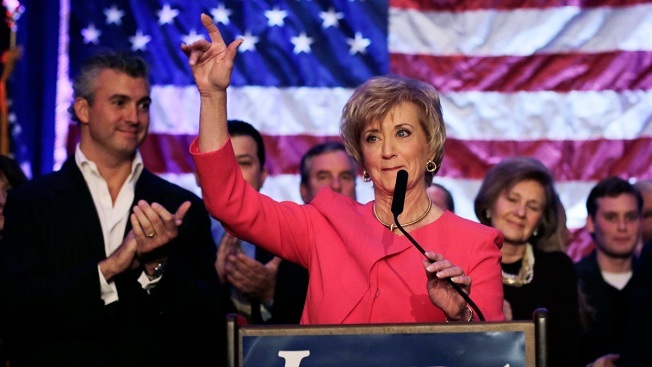 Sources close to Linda McMahon and President-elect Trump's transition team said the former Senate candidate is one name under consideration to become Secretary of Commerce in the new Trump administration. There has been much speculation since the election about who Trump will chose for his administration. Trump announced his transition team on Friday. That team will not necessarily carry over into the Trump administration — though members of past transition teams often have. Instead, they are in charge of putting together hiring recommendations, working with outgoing appointees and laying the groundwork for administration's opening months. A spokesperson for McMahon said she would be honored to serve if the president-elect asks, but his office has not reached out. McMahon lives in Greenwich with her husband, WWE executive Vince McMahon.